If you have noticed that your kids love to play video games during their free time, they might be gaining many benefits. According to several studies, playing digital games can make people creative. Boys and girls who are engaged in gaming tend to be more creative than non-gamers. The fact is that games can make your children more creative. How can video games help creativity? Most people, especially parents believe gaming is a waste of time. But scientists have come out to prove that playing video games, even the simple ones have a direct connection to someone’s creativity. Every type of game needs some sort of creative thinking when playing. Actually, gaming is more than watching TV or a movie. Even though playing your favorite game will not make you a super-genius, it is an activity that can boost creativity. 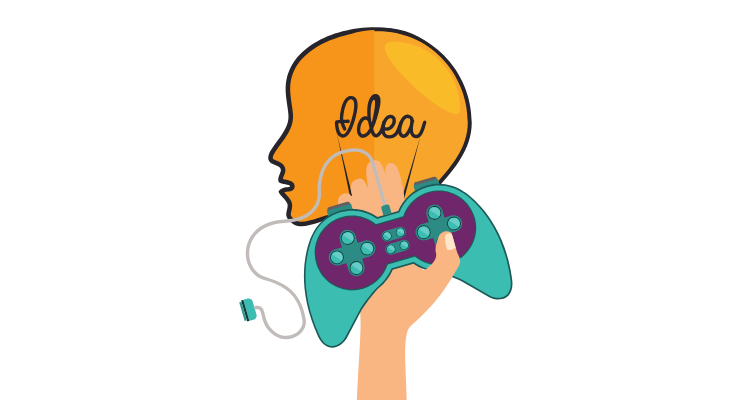 Here are some ways on how gaming can make you creative. 1. Video games can help you recharge. Every time you do something challenging, you recharge your brain. Hence, if you are looking for a good activity to recharge your brain during the day, playing a game might be the best choice. Playing a more challenging game can be more energizing than a simple game. 2. Video games can teach you how to achieve goals. One major element of playing a game is learning several things that can help you succeed in real life. You can develop many skills when you involve yourself in gaming. For example, instead of hiding from the bad guys, it is better to confront them. If you are a leader, the skills you cultivate when playing video games can help you lead. Being a leader, you need to build a team and plan how to overcome challenges. In addition, you need to know how to use your resources for you to remain strong and powerful. Also, you need to confront issues head-on most of the time. 3. Gaming helps you to manage time correctly. When playing any digital game, you need to manage your time correctly. Hence, if you have insufficient time to defeat all your enemies, you must be creative. This skill can also be transferred to real life situations. When working on a project or reading for exams, you can apply the time management skills acquired when playing video games. One of the main reasons why video games can make you creative is because of the art. However, the concept of gaming being a form of art is very controversial. But there is so much creativity when it comes to designing and creating a game. There is also the contribution of elements such as music, storytelling, graphics, and characters. When we combine all the above elements, everyone can clearly say that gaming is a form of art that can help develop creativity. Another form of creativity comes from video game genres. There are many categories of digital games that you can choose for your children. However, research shows that any video game genre can help boost creativity for both young and old minds. • Action video games – these types of games highlight physical challenges that need motor skills and eye-hand coordination. There are platform action games and fighting games under this category. • Action-adventure – this is a combination of two elements, action and adventure. This category has creative types of games that focus on puzzle solving, item gathering and fighting. They are some of the best games to enhance your creativity. • Adventure – these are games that cannot be defined by a story but by the adventure. They are interesting and require the player to be creative when solving difficult puzzles. • Sports – the game simulates a sport. One needs to be creative to be able to compete against other sports gamers. • Massive multiplayer online game – this game has become one of the most popular among teens and children. It involves an online video game with several players from all over the world. Being an online game, the adventure, the hype and when you compete on a large scale, the entire experience needs players to be creative. Keep in mind that every player wants to outshine the others. Creativity can enable you to overcome many obstacles. And by playing creative video games, you are able to improve creativity and also arouse your imagination. Most games challenge players in one way or another. When playing a game, you are forced to improvise, create and think a lot for you to win. 1. Minecraft – being one of the most played games, it can help boost creativity. Here you need to think a lot for you to advance to the next level. 2. Terraria – it is a game that requires players to create structures non-playable characters. Just like Minecraft, the gamer needs to think and be creative in order to win the game. 3. Little Big Planet – another fantastic video game that can boost creativity is Little Big Planet. You need to move from right to left for you to get to the end of the level. And just like the above games, the player is limited only by his imagination. 4. Big Brain Academy – it is a game that entails numerous games that focus on various mental skills such as thinking, computing and analyzing. 5. Animal Crossing – it is a relaxing game that needs a lot of imagination. It is a game that accommodates room for creativity. 6. Scribblenauts – the game allows you to make anything you can describe and later use it to solve several puzzles in various stages. It is not easy to come up with something different. Hence, you need to be as creative as you can be. 7. Sim City – this game is all about creativity. The player is required to build a city from scratch. Hence, the game is limited by your own creativity. 8. Portal – the game may look simple but all players need to be creative to win. 9. The Sims – it is among the most popular video games played on PC. The player takes control of a Sim’s life and makes every decision.The outcome of the Sim’s life depends on the player’s creativity. 10. Tetris – the game requires quick decision-making and creative thinking, especially if you are on a higher level. Previous Can Video Games Cause Seizures?